Cities often feel like dense and crowded places, and it is hard to imagine everyone on Earth living in urban environments let alone a single city or even (yes, it’s possible) one gigantic megastructure. In a series of videos, filmmaker Joseph Pisenti asks: what if everyone lived in one city? Then he takes it further with: what if everyone lived in just one building? It sounds like an absurd proposition, but our planet’s population of billions could, in fact, but contained in a relatively small amount of space if needed (perhaps in case of a worldwide evacuation to space?). Images of single cities in the videos show places that already have populations in a single frame larger than countries like, say, Australia have spread across an entire continent. 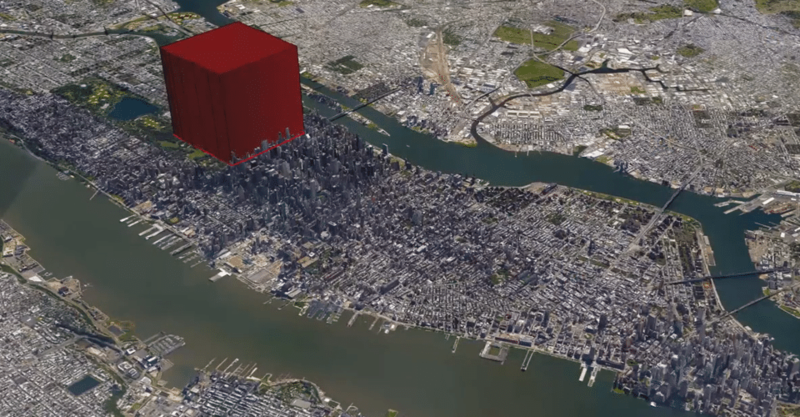 A few billion cubic meters in a structure set on, say, Manhattan, could uncomfortably house the human race. It would be twice the height on the world’s largest building, but we would fit if we had to.